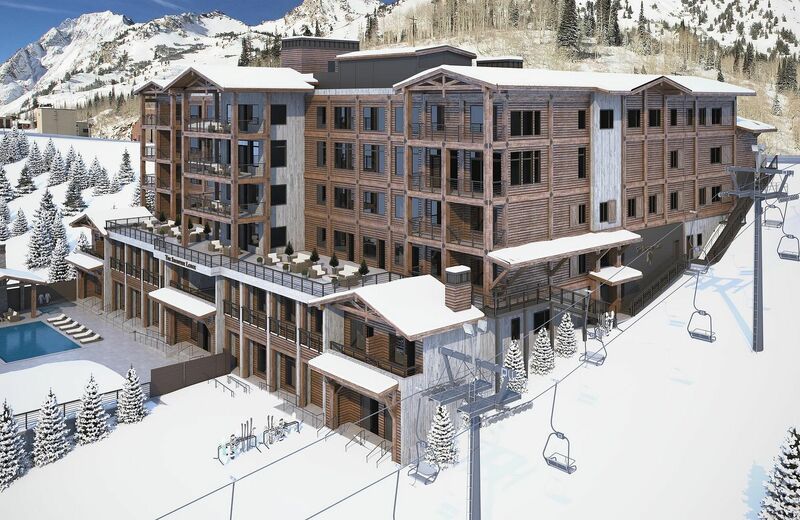 A lodge that just (re-)opened this month at a ski-only resort (sorry snowboarders!)! It’s the Snowpine Lodge at Alta in northern Utah, known for it’s legendary champagne powder. Dating back to the 1800’s, the building was once a general store, post office, army barracks and public shelter, and in 1938, it became the Snowpine Lodge for skiers. Having just finished major renovations, the Snowpine Lodge is now a year-round luxury hotel with 78 rooms and 19 dorm beds, swimming pool, and full service spa that is right next to a newly opened chair lift – talk about ski-in and ski-out! Being situated in Little Cottonwood Canyon, you can take full advantage of two world class ski resorts, Alta and Snowbird. And in the summer, there’s mountain biking, hiking, fishing, and horseback riding, right outside your door. For an elevated, mountain experience, check out the new Snowpine Lodge!